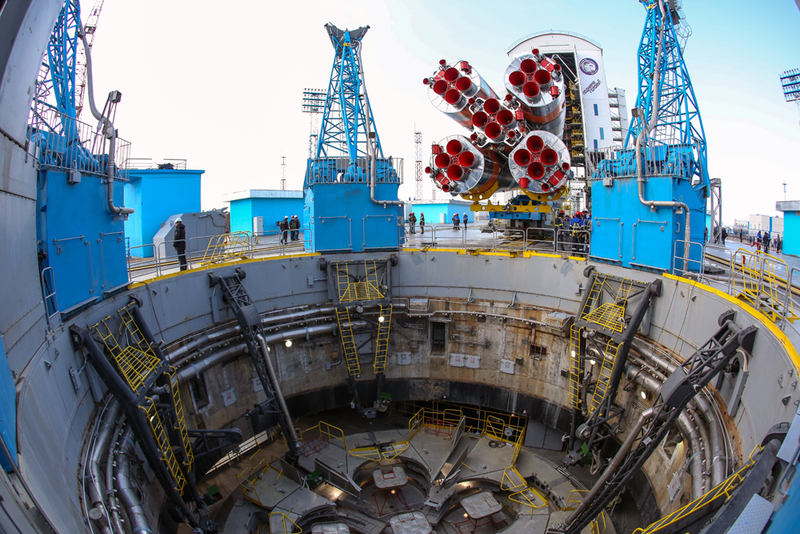 The launch of a Soyuz-2.1a rocket was scheduled for April 27 morning. The launch of a Soyuz-2.1a rocket with three satellites onboard scheduled for April 27 has been delayed by one day, a cosmodrome representative told Interfax. "The launch has been delayed for technical reasons. A commission will establish the definitive cause," a cosmodrome source told. The delay is unrelated to the human factor and cosmodrome individualities, Roscosmos first deputy head Andrei Ivanov has said. "This has nothing to do with the individualities of the Vostochny Cosmodrome we have been talking about," Ivanov told reporters in his comments on reasons for the launch delay. According to Ivanov, the launch has been moved by one day and the situation is being analyzed. As to whether a human factor has played a role, Ivanov said, "the human factor is ruled out." Russian President Vladimir Putin, who came to the Vostochny Cosmodrome, has decided to stay until the situation becomes clear. "The president arrived in Blagoveshchensk this morning and came to the Vostochny Cosmodrome afterwards for watching the [rocket] launch. While waiting for the takeoff, the president was informed in detail about all technological characteristics and the operation regime of automatic systems," Peskov told reporters. "The president has decided to stay at the cosmodrome until prospects for performing the launch a day later, i.e. tomorrow, will become clear," he said.